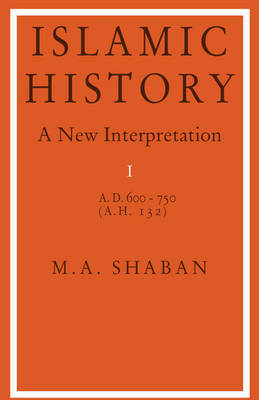 This book presents for the first time a clear narrative analysis of the central events of the Islamic domains between the rise of the Abbasids and the Salijuq invasion. It was a period of intense political and economic activity as the Abbasids extended their empire and gradually lost control of it; these years also marked the rise and fall of the Fatimid regime in Egypt and the growth of other regional power groups. The study is based on original sources and Dr Shaban challenges many received opinions.